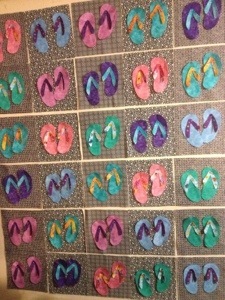 I now have all the flip flops ready to be stitched down. Let the blanket stitching begin! !